In January 1959 further National agreements were made for Under-Officials, i.e. Overmen, Deputies and Shotfirers. On 29th January 1959 a dense winter fog, the worst since 1952 was spread across all areas of Britain and transport virtually stopped. Periodic X rays were started for the workforce 1958-1959, and mobile x-ray units were to visit each colliery every 5 years, when a comparison would be made of the x-ray films from the time before to note if there was any increase of dust in the lungs. Dust suppression on underground machines was intensified in Derbyshire and Nottinghamshire. Bevercotes shafts (Nottinghamshire) were completed to the sumps. Shaft positions: SK67SE, 469474, 373905 and 469535, 373964. The pit bottom roadways at Bevercotes were coupled through in May. The pit was quite remote and situated off the main road and partway down the lane to Lound Hall where the training centre was situated. No village was to be built for the proposed workforce. Instead houses were built at nearby Ollerton / Boughton, expanding that village (the locals called it the ‘Reservation’). Some Officials houses were based at Bothamsall village. A new rail link was made from the main line near Ollerton full sidings. A tunnel had to driven through the sandstone rock near Walesby. Surface drifts at a cost of £2m were put down to the Clowne seam by the NCB contractors at Bramley Vale, adjacent to Glapwell colliery (Derbyshire) starting in 1954 and production began in 1959. The new drift mine was managed as a separate unit. 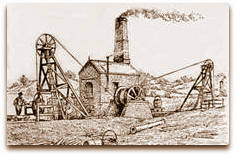 Stanhope Drift Mine, drifts from surface to the Stanhope seam (South Derbyshire), the Kilburn seam first worked from Anglesey prior to 1868 and from Stanhope in 1869. At Whitwell (Derbyshire) a Mawco cutting machine, developed from a shearer, was installed. A Peake ripping machine was installed at Coppice (Derbyshire). John Jeff Street succeeded as Superintendent at Mansfield Woodhouse Mines Rescue Station 1959-1979. Elijah Burton died in 1959 aged 86. He was known as the 'father of the coal trade in Nottingham’. A miner at Gedling colliery in 1900 he had realised that miners’ concessionary coal needed delivering and had seized his chance by purchasing a horse and cart to do just that. His business expanded until he had 40 horses and carts. 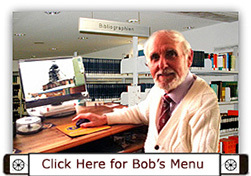 His son Bob wanted his own business and eventually had up to 800 customers. In the late 1940s coal was still rationed and his first truck of coal cost £25 and he had to ask for cash so that he could purchase another load, credit not being allowed. A ton of Gedling coal then cost £4, and 5 bags of Hazel cobbles cost a customer 18s 6d (92½p). When the Government lifted restrictions on fuel in 1958, it became a free for all and eventually he sold the business to the British Fuel Co in 1978 when a ton of coal cost £13 (whereas by 2005 would cost £190). Prior to having coal delivered in bags the load was tipped on the street and it was up to the individual to shovel it up and transport it to the coal house. Lads sometimes would jump at the chance to load and barrow it for 2s 6d (12½p). Ventilation boreholes were bored to dilute the carbon monoxide seeping at the Newman Spinney Gasification site nearby High Moor (North Derbyshire). When the area was open casted later to remove the burnt out areas, the problem was solved. 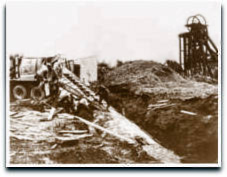 Lodge colliery at Newthorpe, Nottinghamshire, always referred to as Billy Hall’s pit, (died 1892) sunk pre 1890, then owned by William Hall Junior after 1892 until about 1896. The pit was to the West of Kimberley and to the South of Eastwood. Shaft position: SK44NE, E447422, N345305. Re-opened in 1915-1916 by Manners Colliery Co Ltd, The colliery was taken over by Ilkeston Collieries Ltd in 1932. Further sinking, then closed and merged with Moorgreen, maximum manpower was 459 in 1958. Lodge No1 shaft, later Moorgreen No4 and UC shaft, Lodge No2 later Moorgreen No5 and DC shaft. 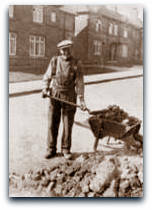 Manpower: William Hall – 1898, Manners Colliery Co Ltd 1915-32; Ilkeston Collieries Ltd – 1946. 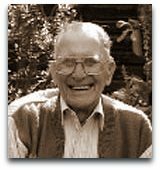 Arthur Dennis (4207) Group Manager 1959. John R Trevorrow (3666) Manager 1956-1959. Ken G Edwards (5826) 1957-1959, transferred to Woodside No1. Manpower was 340/100 in 1920 and 362/83 working the Piper seam in 1958. 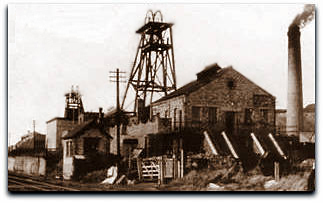 The small Thornsett Hey mine in North West Derbyshire was uneconomic and was closed.